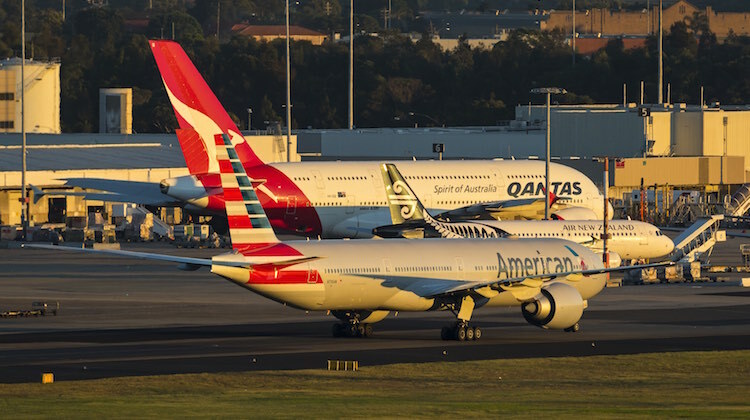 Qantas and American Airlines will not contest the US Department of Transportation’s (DOT) “unprecedented” Show Cause Order rejecting their application for an expanded alliance and anti-trust immunity (ATI) on trans-Pacific routes. Instead, Qantas said in a statement on Tuesday the pair was withdrawing its application to the DOT. “Qantas and American Airlines will now separately assess their positions before deciding on next steps,” Qantas said. “Both carriers are committed to finding ways to work together more closely to deliver benefits to customers that neither could offer alone. The decision to withdraw the application represented a change from the initial response to the Show Cause Order, when American spokesperson Matt Miller told Fort Worth’s The Star-Telegram newspaper the airline planned to file an objection to the tentative decision. Qantas and American have worked closely together on the trans-Pacific market since 2011, albeit without ATI. The pair started codesharing on each other’s flights in 1989 and helped establish the oneworld alliance as founding members. This ACCC decision meant that while Qantas and American were able to align pricing on tickets sold in Australia, the pair was not able to do so on outbound US fares without the green light on the alliance from the DOT, which took 17 months to consider their application before issuing a Show Cause Order on November 18 tentatively denying the proposed alliance. Qantas said the Show Cause Order represented a “significant departure from precedent” which ignored the evidence of intense competition on the trans-Pacific and the “material benefits” the alliance already provided the travelling public. “Given that approval has been in place since 2011, this is an extremely disappointing sequence of events for Qantas and American Airlines, as well as for customers, and ultimately for trade between the United States and Australia,” Qantas said. Qantas and American had asked the DOT for an extension of time to respond to the Show Cause Order. However, the Department denied their request. The DOT’s tentative decision argued there was a “high risk of competitive harm” should the tie-up be approved, given the combined Qantas and American network would represent 60 per cent of all seats between the US and Australia. Moreover, the pair would have the largest market share in about 200 city-pair markets. Good decision. I am sure Qantas and American would have created an agreement between themselves at the expense of other potential competitive airlines and the paying public. Every time these carriers jump into bed with each other, it is to maximise their profit…not a bad thing? but I would imagine we, the punters paying the fares will lose out.